Absolutely her best album since Give Up The Ghost from 2009, but honestly this is becoming one of my favorites from her. I think I still love the songs from the self-titled and The Story the most (and I go back to the live symphony album a lot - those covers of Hallelujah and Sixty Years On!! ), but the production on this one is top-notch. I thought Firewatcher's Daughter was excellent in that regard as well, though, but this one will probably edge into third. Most Of All is gorgeous. Saw the first NYC show on Thursday and she was amazing as usual; they played the whole new album and it's really spectacular live (though I would have loved a couple more oldies too). The string quartet was with them and really elevated everything they played on. That girl (and those twins) never fails to impress. Holy crap did she kill it at the Grammy's tonight. Her new duet with Maren Morris also came out this week. She didn't win the big prizes (though happily she swept the Americana categories) but she's on top of the world right now. She was incredible at the Grammys. Honestly, that performance will hopefully be a nice boost for her career. I thought the Grammys were surprisingly good--the best in eons--and that Alicia Keys was a wonderful host. It's funny to think that Brandi Carlile is an artist who can perform at Madison Square Garden but she's not exactly a household name--she really is exceptional live. If the Grammys had the pull they once did, her performance Sunday night would have made her a star, and her album would leap up the charts. I’m just getting into Brandi and only know a couple songs at this point (The Joke, The Story, The Eye and Cannonball). Does anyone have an intro to Brandi playlist or a top 10 favorites list to share? That's not necessarily my 10 favorites, but there's certainly quite a bit of overlap! I also love her covers, especially the studio and live versions of Sixty Years On. ^ thank you @Nick! Excited to listen. Can we talk about how GLORIOUSLY PERFECT Brandi's live cover of Joni's "Down To You"is, from the Joni 75 concert? I can't handle it. 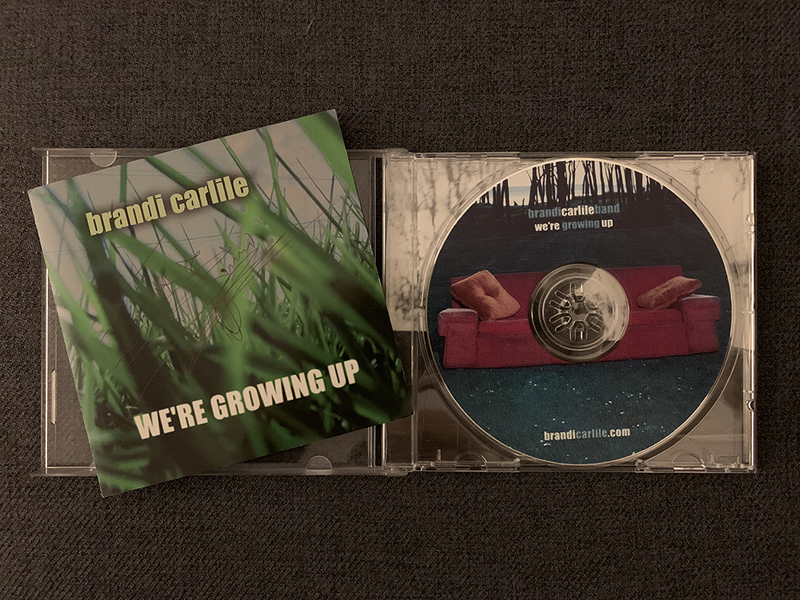 After letting a few pass me by on Discogs, I finally bit the bullet and splurged on a physical copy of Brandi's first album; it's understandable why she distances herself from it, but I also don't think it's that bad, and there are some good tracks among the few that never got reused on future albums. It's definitely an upgrade on the crappy MP3 copy I had before! Brandi posted the singer/songwriter chart on her IG for this week and the top 5 artists were all women. Patty Griffin was in first and I think Brandi was in third, Maren Morris was in there and AfP was five. She said something like "What an awesome group to be in."